I wish I could tell you that this would be the most complicated project you would make during the Christmas season.. 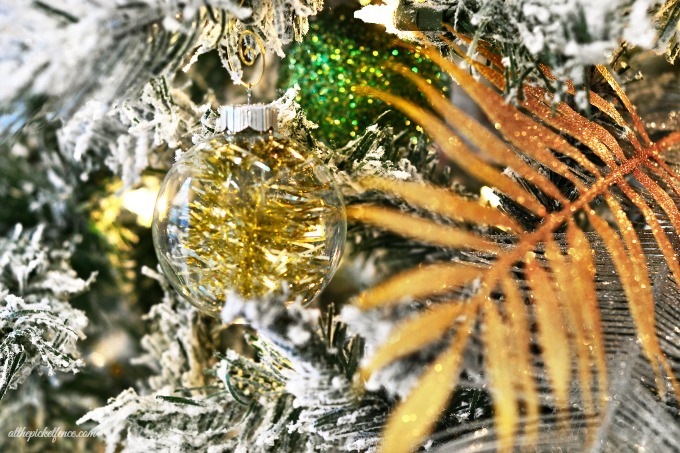 I would tell you tales of the lengths I went to, to create these sparkly ornaments. The sheer effort, sweat, blood and tears that went into making them. But that would be a lie. 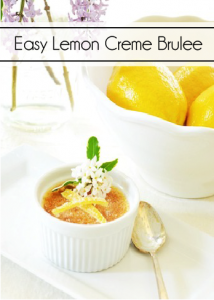 Because this is Take Five Friday after all! 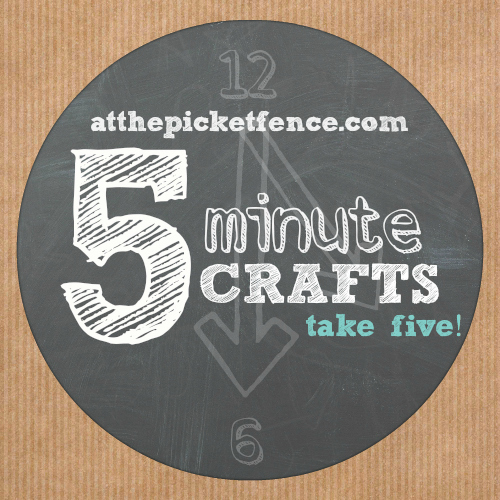 Where we share an easy craft with you that takes literally….five minutes or less! Who doesn’t love that during these hectic holidays! 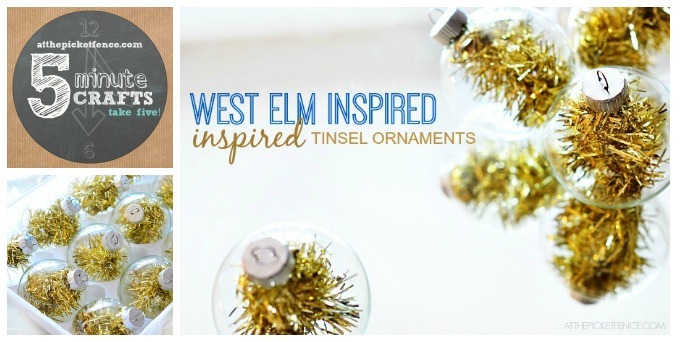 When I first saw the West Elm Tinsel Ornaments, at $6.00 each I KNEW, just KNEW it couldn’t be that difficult to recreate them. Here’s all you need to do! 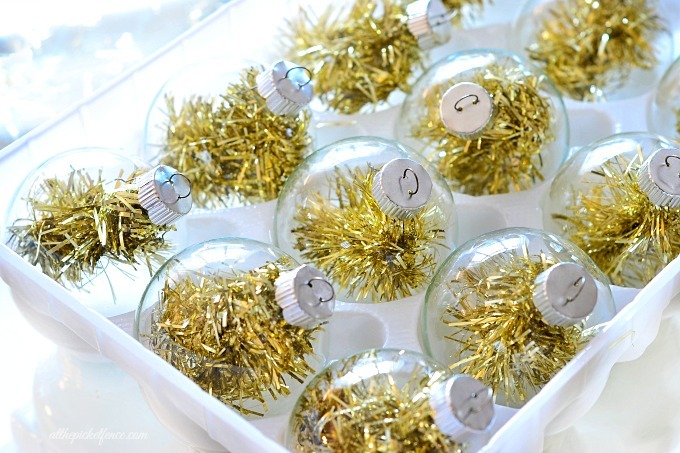 Remove the hanger from the top of the ornament. Cut a piece of tinsel. 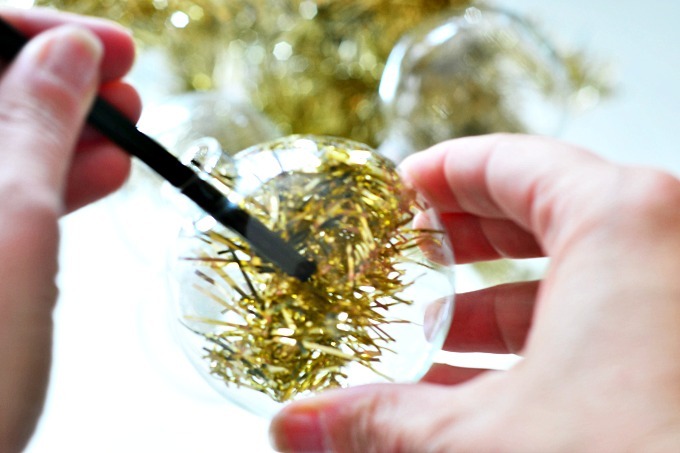 Poke the tinsel down into the ornament…. ….and replace the top! See I told you it would take less than five minutes! 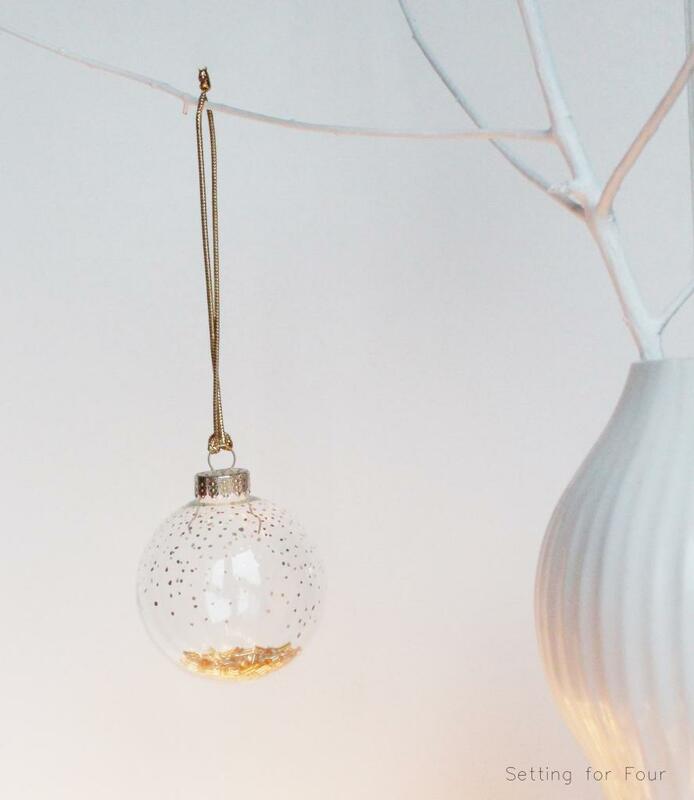 Now hang them and see how pretty and sparkly they look in your tree…and think about how much you saved! Thanks for joining us for another Take 5: Five Minute Crafts! 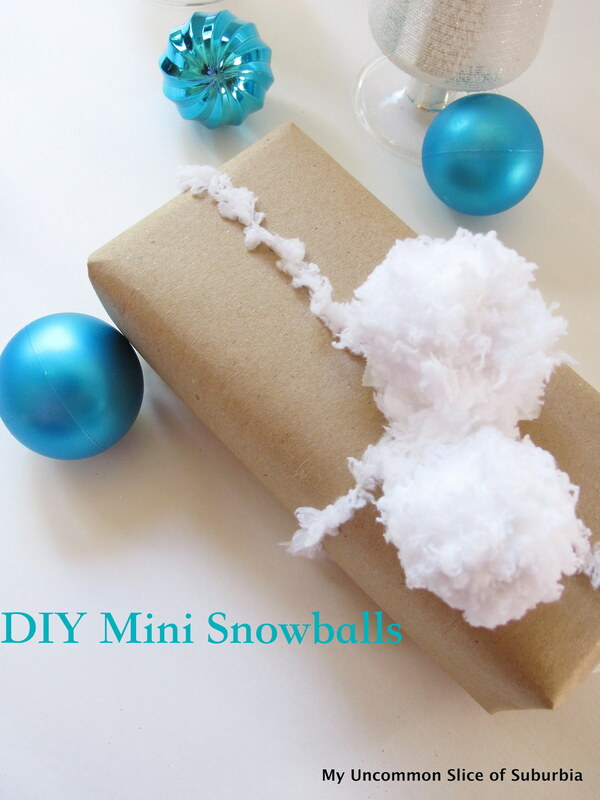 If you missed them here are some other fun Christmas Take Five Crafts! PS…We’re happy to announce the winners of TWO GREAT GIVEAWAYS! 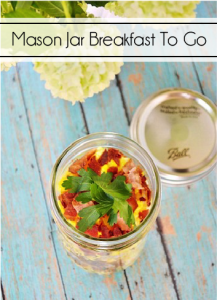 Our $100 Minted Giveaway winner is…. Congratulations! All winner has received an email! Thank you again to everyone who entered! 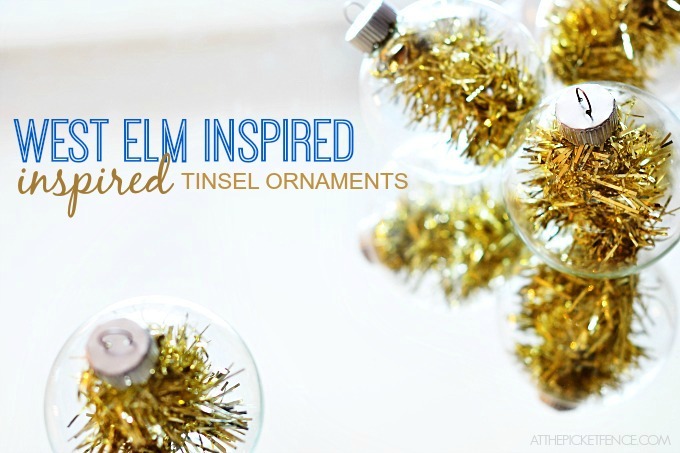 6 Comments on "Five Minute Crafts: West Elm Inspired Tinsel Ornaments"
Love these! 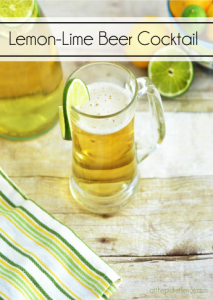 I saw them myself and though, hmmm… those would be so easy to DIY! 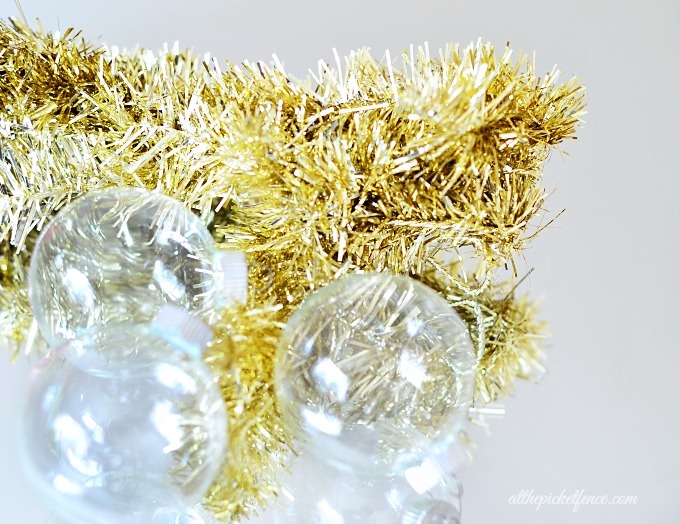 Love the tinsel balls! Such an easy trick. I love simple, recycl-y crafts. 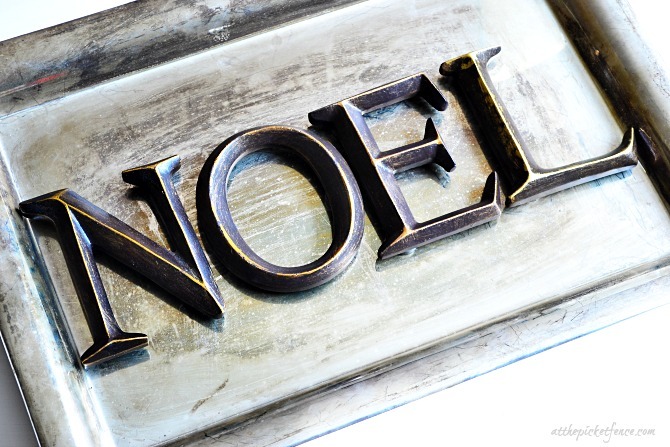 Have a blessed holiday! Very nice post. I certainly appreciatte thks website.